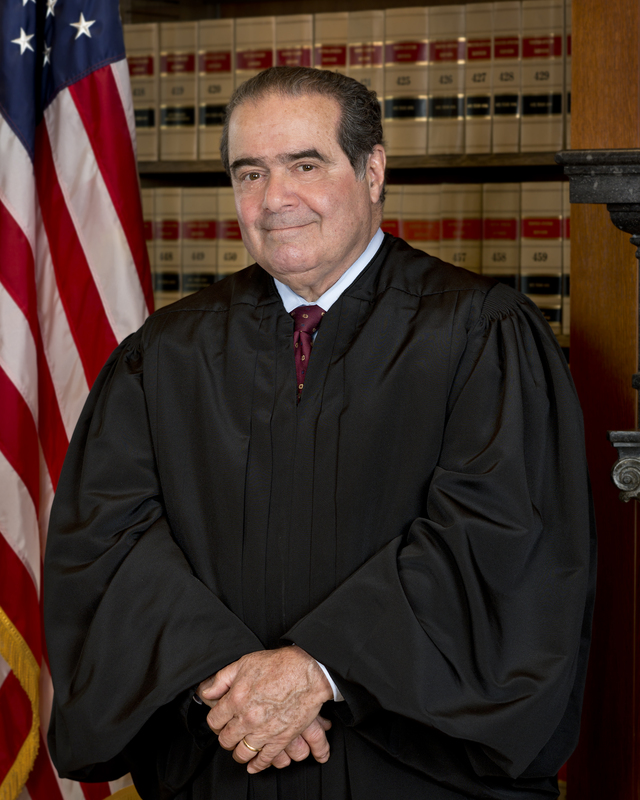 Antonin Scalia, official portrait as Associate Justice of the Supreme Court of the United States. Supreme Court Justice Antonin Scalia, who died February 13, was an originalist in his approach to the Constitution. In 2008, Scalia spoke with Justice Stephen G. Breyer and a group of students in “A Conversation on the Constitution: Judicial Interpretation,” an educational video that was a project of the Annenberg Foundation Trust at Sunnylands and Annenberg Classroom. In response to a question, Scalia described the approach of the evolutionists versus that of the originalists. 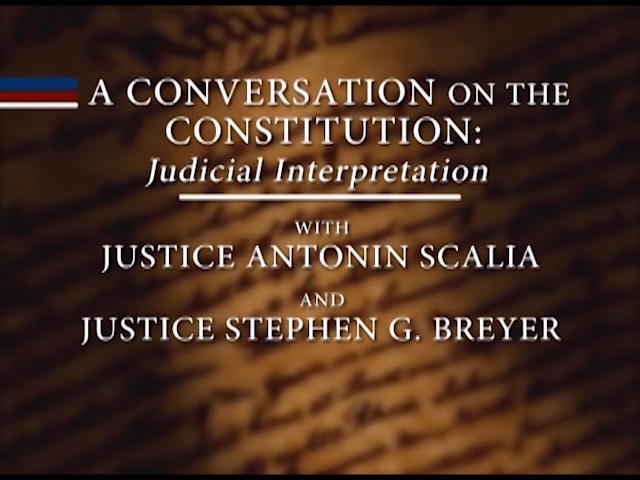 Click here to watch a conversation with Justices Scalia and Breyer as they discuss the different theories of how to interpret and apply the Constitution to cases and how they affect not only the outcomes of cases but also our democracy and daily lives. Scalia gave an example involving the Eighth Amendment, part of the Bill of Rights. “An originalist would say, when the Eighth Amendment was adopted, in 1791 — the Eighth Amendment prohibits cruel and unusual punishments — the death penalty was not a cruel and unusual punishment. There’s no doubt that it wasn’t. The death was the penalty for every felony. It was definition of a felony: a crime punishable by death. So it’s easy for me to say the death penalty is a very bad idea, the people don’t have to have it, if they don’t like it they can abolish it. But don’t come to me and say that the Constitution doesn’t permit it because in 1791 when the people voted to prohibit cruel and unusual punishments this is not what they were talking about. OK? That’s an originalist approach. I take no view on whether the death penalty is a good idea or a bad idea, but if the people don’t want it they are fully able to abolish it by legislation.